The A1 southbound at Peterborough was completely closed just before Haddon services because of a large car fire this afternoon. The car caught fire after hitting the back of a truck. Police and fire crews are at the scene after they were called at 1.46pm, but there are long delays in the area. 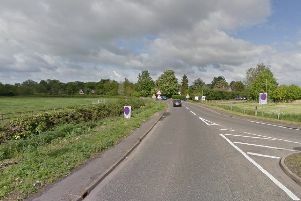 The road was shut back to the A47 junction at Wansford. The road has now reopened although some delays remain.